Well, Jennifer is also training for that run. She ALSO ran 11 miles! It was her longest run ever. Natalie, not to be outdone, and who has been picking up her miles lately, ran 7 miles that day. That was also her longest run ever. And Selma, also not to be outdone, walked 2 miles and biked 4. Put that all together and we exercised an amazing FORTY-SIX MILES ! ! ! I am boasting in the Lord for giving us such an active family, but WOW, that was quite a day. I am sure to talk with you about the Country Music Half Marathon in a couple of weeks. After all, you can't keep a runner from bragging. You ought to know that if you 've read this blog long enough! One Final Thought … on Oklahoma? 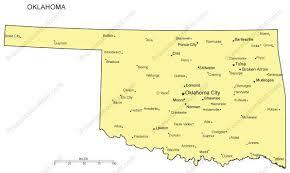 Selma and I will be traveling to Oklahoma son for a conference on parenting. We ask and trust that you will pray for us that we have wisdom to lead these church leaders in encouraging and informing them on how to have a more effective parent ministry. We are humbled for the opportunity. Have a blessed week, and let me know if you are doing the half (or the full) at Country Music this year. I am not running the CMM this year but will be thrilled to follow your sweet family as you do. I cannot wait to see your total family mileage on race day. And way to go, Selma!